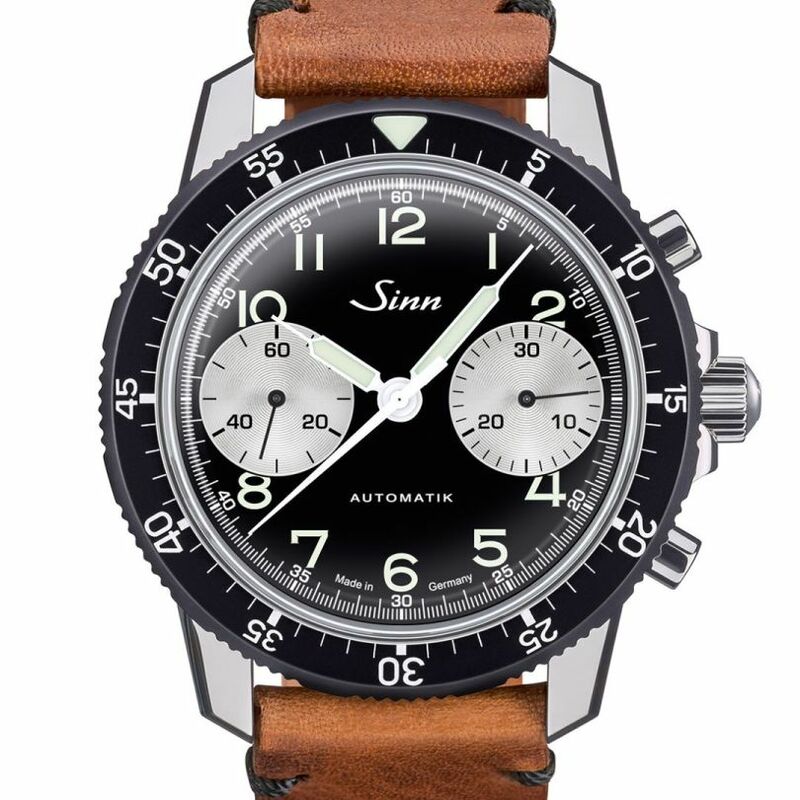 Sinn has announced a new limited edition chronograph for watch magazine Chronos. A 41mm sized stainless steel case is the setting for what is a classically good looking bicompax sports chronograph, with a ‘reverse panda’ dial aesthetic. The matte black electroplate dial has silver recessed grooved counters, which have silver electroplated totalising numbers. 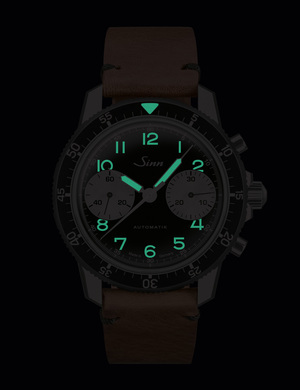 The hour/ minute hands and numbers of the watch itself are lumed. In keeping with the retro stling, above, the domed crystal is acrylic, and around it is a black anodised aluminium rotating bezel with a luminous triangle. The case is water resistant to 200m/ 20 bar and the back is a solid screw-down cover. The crown is also screw-down. Inside is the automatic Sellita Calibre SW510, beating at 28,800VPH, and with a power reserve of 48 hours. 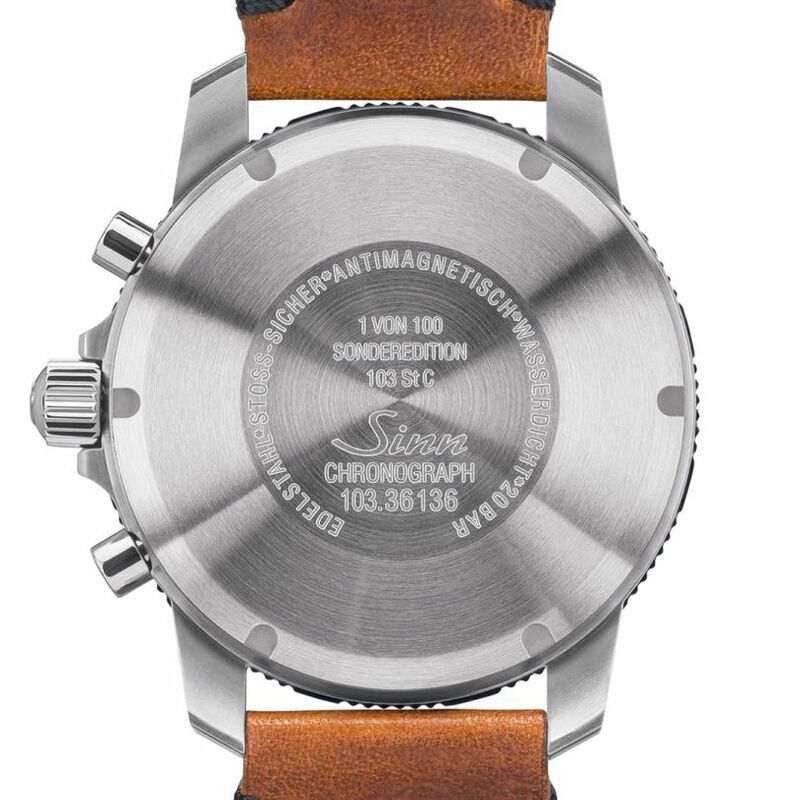 Coming on a brown cow hide leather strap with black stitching, the new 103 St Chronos chronograph is in a limited edition of one hundred pieces with an RRP of 1,989 EUR.